“This is majestic”, I thought impervious to my numbed face and shivering body. “Let it rain, damn it; I won’t move!” I continued to gaze mesmerized at the thudding waterfall with its gigantic volume of water. Can you admire beauty whilst shivering in the cold? Can you gaze mesmerized whilst being drenched by the spray of the thundering waterfall? Can you drive and drive and drive and yet not get tired? Can you look at mountains and grasslands and waterfalls in a loop over and over again? Can you stop every ten minutes and yet not be bored by repetitive scenery? Volcanic ash, rocks, hot water springs, thunderous waterfalls, grasslands, the ocean, beaches, icebergs, glaciers – you name it, Iceland has it all! Iceland is a country which survives and thrives on the bed of volcanic activity. 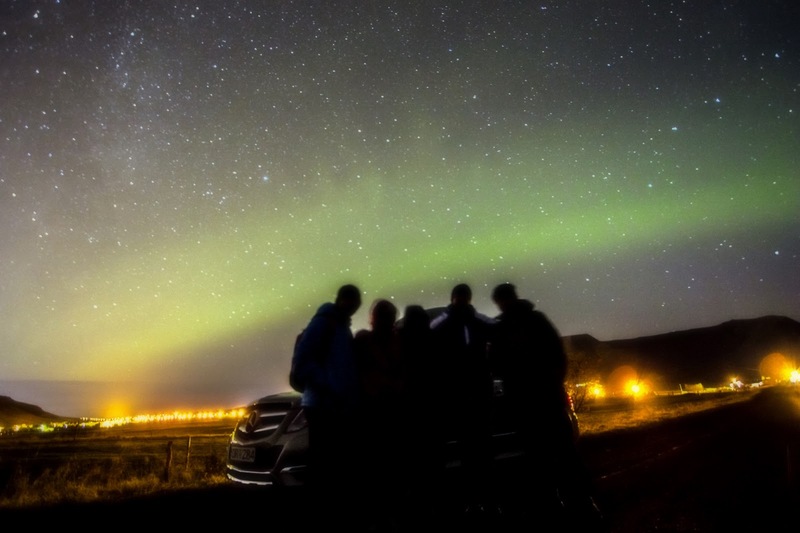 A week-long trip along the famed Iceland ring road was one of the best experiences in life (for five of us) – September 2015. 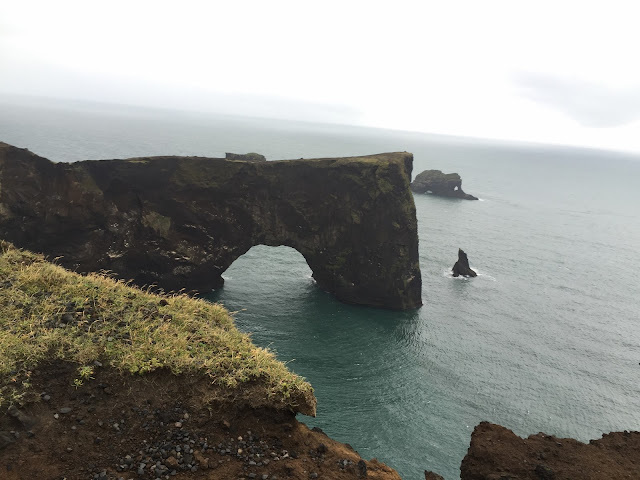 Turns out, that was Iceland; but only a very small island which is a part of the same – Vestmannaeyjar; on the south side of the country. 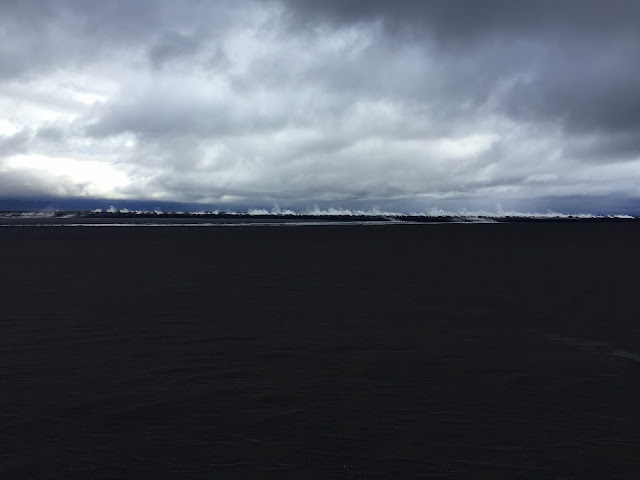 As our plane curled around from the south and hit Keflavik International Airport, we got our first glimpse of a much larger land that was Iceland. Once past the airport, our first task was to get our booked self-drive car – one which we hoped would fit the five of us along with our luggage. We hoped, that is. Being the Indians that we are :), our luggage exceeded ourselves and there was no way all of it would have fit as is in a car. Luckily, the car rental provided us with a roof-box within which we were able to fit all of our luggage in. Reykjavik (pronounced Rekyavik) is like any other European city with quaint beautiful houses and small crisscross streets. We walked through the same in the evening as we came to grips with complex names and beautiful churches. Dinner was at a pizzeria who served up some good food. Vegetarian food is hard to get in the entire country! That night was a partly clear sky and we eagerly went out in the quest for Aurora Borealis. Chilled and numbed, we stepped out in the middle of the night around 12am but to our disappointment, there was nothing visible in the city’s vicinity. We drove further and outwards a few kilometers away from the city into the hills whilst we patiently looked up at the night sky. We waited in the cold, shifted positions and tried to go uphill, looking and craning our neck in all possible directions. Eventually we saw a greenish tinge in the sky that wasn’t clouds. It wasn’t as impressive as we hoped it would be, nor was it dancing or very bright; but our camera did capture it better than we actually saw it. We hoped to get a better sighting of the Aurora in the days to come, but unfortunately we ended up with cloudy skies on all the remaining days with minimum Aurora activity; so this was the best we came up with. The idea of self-driving 1500-2000 kms across a week is an exciting one. We stepped forth from our hotel with a sense of anticipation. Sure, we had a list of destinations in our mind; but we stopped far more than those. Drive, drive, stop, stop, taking in the scenery, take lots of photos, sigh wistfully and drive again. Loop continued. We drove on in the above loop until we reached Deildartunguhver, our first planned stoppage where we ventured out to visit the hot springs. In heavy cold winds and hot steaming water flowing alongside, this made up for a quaint sight of feeling extremely cold whilst we were standing next to steaming water emerging at almost boiling point. We proceeded on to our first of many waterfalls on the road – the twin waterfalls of Hraunfossar and Barnafossar. Life is full of obstacles. I overcome them, and it is a smooth sailing thereafter. Rip roaring seething water in a small stretch, the water calms down to a gentle river within a short distance. Time is at a premium as one can spend ages at these beautiful places!! Eventually we reached our first evening’s destination at a town named Blonduos. Blonduos, called a small town boasts of a population of 750 odd (750 is a town, eh! )Our visit to Blonduos was the most memorable simply because of the beauty of that stay. On the backdrop of lush green fields and a flowing river, it really made for a pretty sight and we woke up with remarkable freshness! The loop continues. Drive, stop, drive, stop. No amount of pictures can describe or make up for actually driving through that scenic ring road. We started a bit late, due to the beauty of the Blonduos morning sun; but were on the road again. No major pitstop to speak of, we thought; until that is we again fell back into the above loop. We drove through the beautiful gorgeous Trollaskagi Pensinsula as we went on and on. 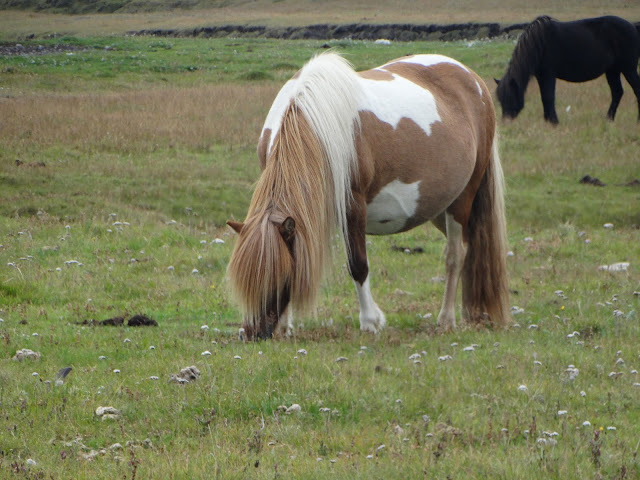 A lovely landscape by our side, with lush green grass, hordes of sheep and horses presented themselves along the way. 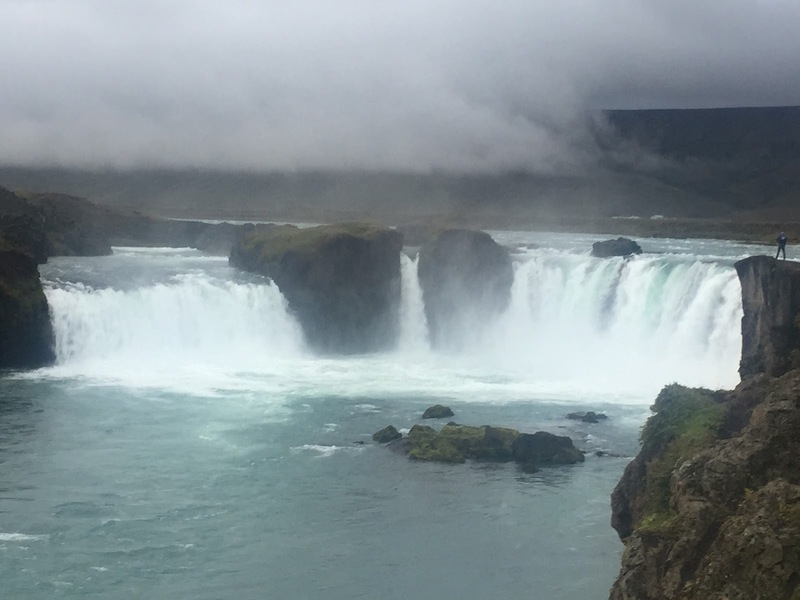 Towards the end of this day, after passing the small city of Akureyri, we reached our first imposing and spectacular waterfall - Godafoss. I shall stand tall amidst the chaos around me. 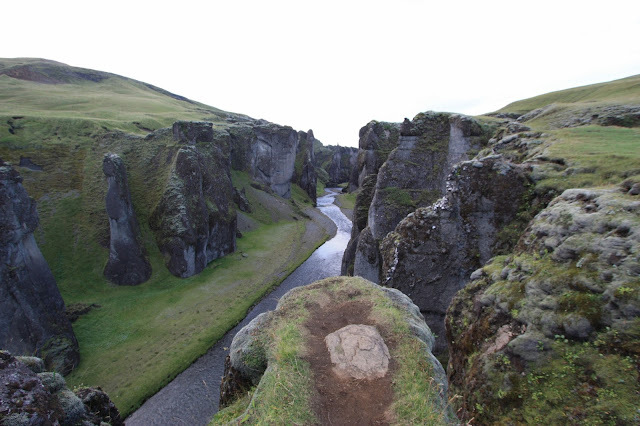 So say the huge rocks amidst which flows Godafoss. I shall fall down with a thud; but compose myself and move on nevertheless. So says Godafoss! We closed the day with crossing the gigantic Myvatn lake to eventually reach Myvatn. The most spectacular day of the tour. Period! Our most expensive stay was at Myvatn with very limited offerings at the hotel; but that is because Myvatn is just a base (a village with 200 people) for all the surrounding beauty including the highlands. This day was booked for a superjeep tour to Askja from Geotravel. Our oddly named guide, Raggi Dabbi was a superb guide who made sure we experienced a fantastic day. With a 4X4 powerful super-jeep vehicle, we stepped out for the Askja caldera. He drove, whilst we asked questions and took in the barren scenery of the highlands. Volcanic rock and that too tons of it whilst we crossed the same. We also encountered a couple of river crossings which Raggi superbly navigated with his experience. Undoubtedly, something we wouldn’t have dared to try on our own. Eventually after a couple of hours we reached the base from where we had to walk further. A 35-minute chilly walk through the snow and mountains, with the route marked only by yellow poles, we reached the Askja lake and Viti lake. A just question to ask is – Are we still on earth? 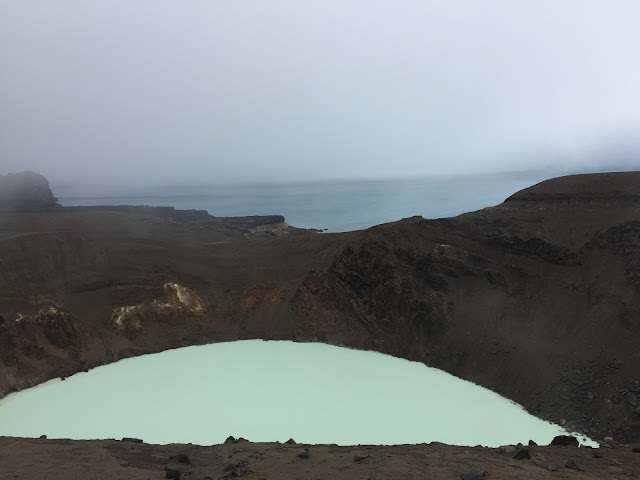 Presenting the aptly named Viti lake or crater (Viti means Hell) with milky white liquid (Sulphur) and the Askja lake`side by side. One of the most unbelievable sights in the entire world. The stunning Askja caldera. Viti crater (bottom) and Askja lake (in the back). Note the difference in color of the two bodies, side by side. On our way back, just when we thought this day couldn’t get any better, apart from the miserable cold of course, we were in for another surprise. The Holuhraun lava field near Askja has flowing water which is surprisingly of a comfortable tempature to have a bath in (close to 40 degrees). Can you believe taking a dip in natural flowing water being heated real-time by lava; with Sulphur fuming out and feeling extremely warm whilst chilly winds blow all alongside you. Naturally heated river due to fresh lava - near Askja. One can see the fumes coming out. The famous Blue Lagoon has nothing on this. Walk through snow, chilled to the bone marrow, gusty winds blowing that might topple you off – that’s all you can ever asked for! Look at the smoking caldera of Viti alongside the serene Askja lake amidst the misty winds. Take a bath in a natural heated water with lava, while all around is barren, cold, wet and windy. Another cold and rainy day. The surrounding areas near Myvatn are a treasure trove in different landscapes. Lava, lava everywhere taking different shapes and sizes. We couldn’t do true justice to all of them. 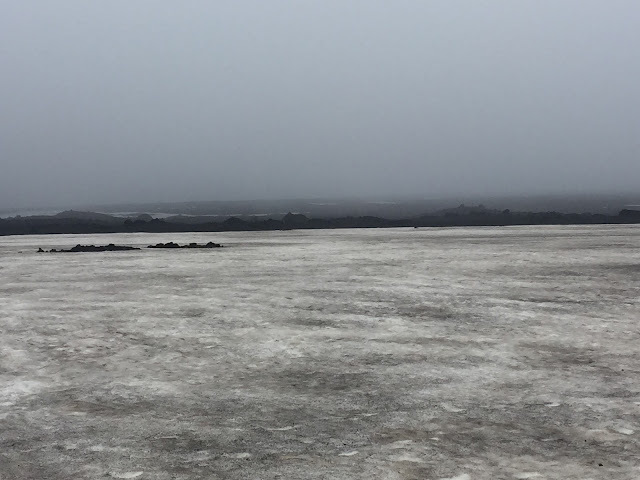 We wafted through the famous huge pseudo-craters of Myvatn which were created thousands of years ago with hot lava flowing over the surface of a lake. We next went to Krafla, another gigantic Caldera as we drove through the volcanic formations. The barren-ness of the place hits you as everywhere else. 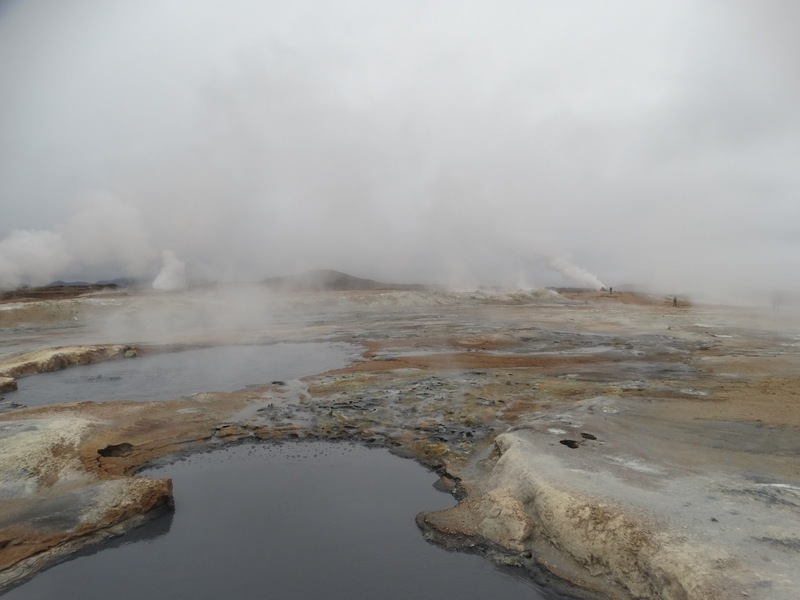 We stopped at Hverir, another geothermal area with boiling mud pools and fuming gas all around. Eventually we waited with bated breath, as we drove towards Dettifoss, the biggest waterfall of Europe in terms of volume of water. 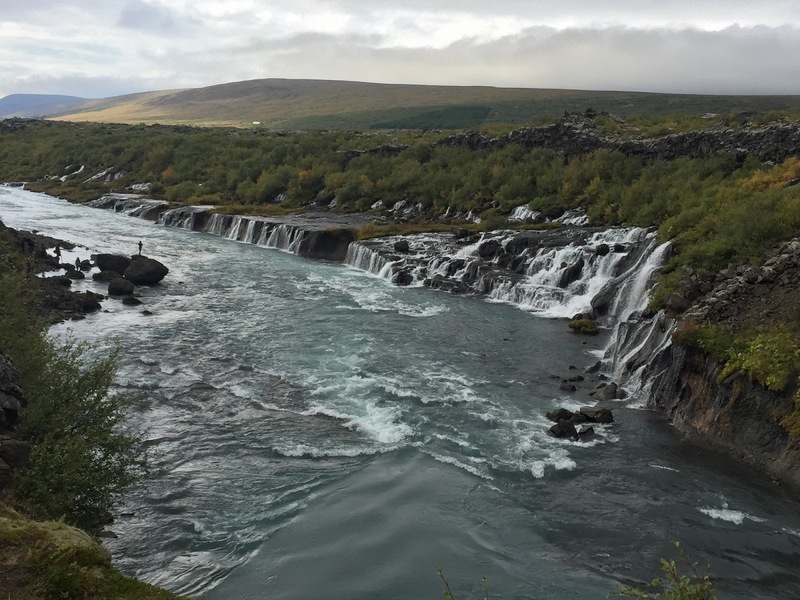 The entire area is a maze as you feel Dettifoss much before you reach it; and further ahead is the calmer sight of Selfoss though no less imposing on its own. I wished I could say we saw Dettifoss. But we didn’t. 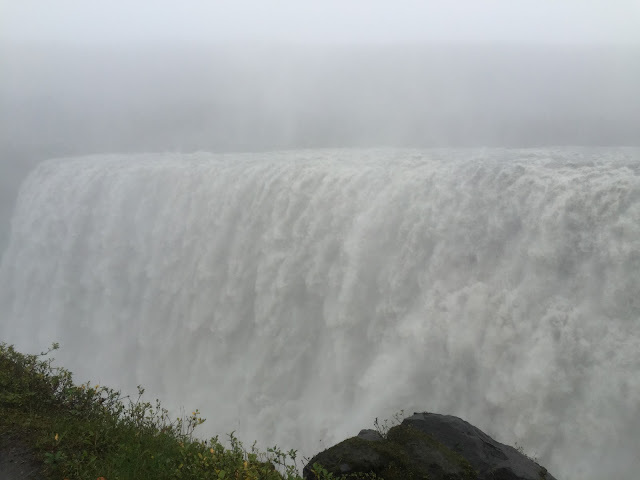 It started raining and in the spray and mist of Dettifoss itself and cloud and rain and wind; all we could do was barely see anything. Yet, we stood there. Chilled to the bone marrow, again! Feeling the power, the spray, the enormous volume, of the beast in front of us. The gigantic beast laughed at us, lashed its fury, relentless and merciless. Made us feel humble about nature. 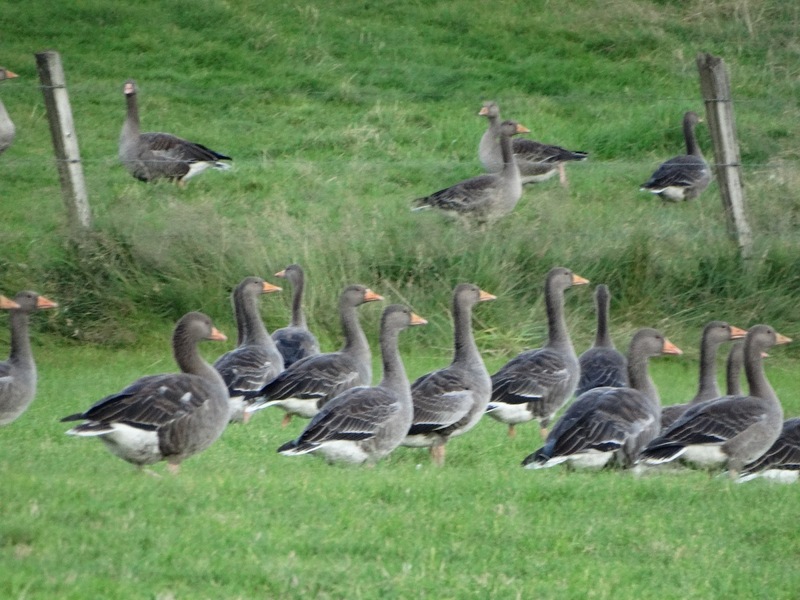 - more places near Myvatn - one of which was a specially meant for bird watching! 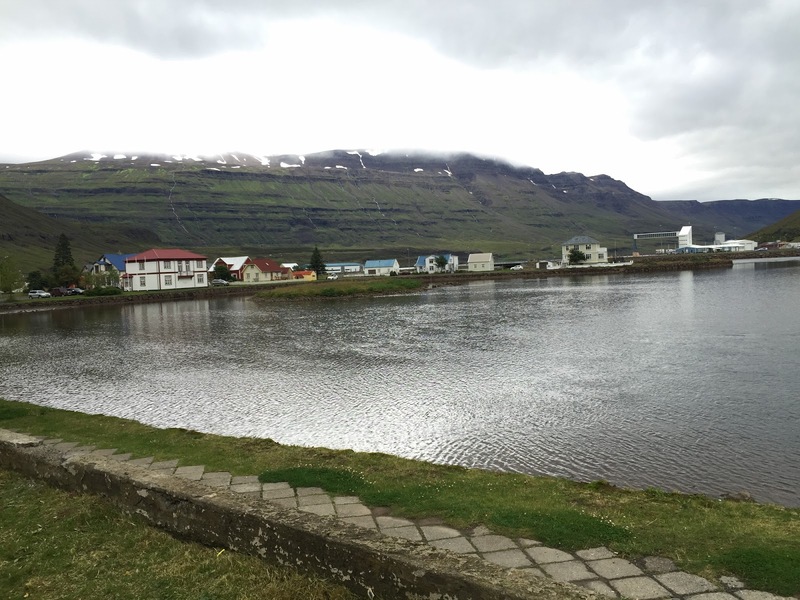 Egilstaddir is a city on the eastern side of Iceland. Our stay was impressive at a hotel which turned out to be surprisingly tech-savvy. Well, I say city, one that has a population of ~3000. This was more of a drive through day where we drove to the charmingly beautiful fjord of Seydisfjordur. A really beautiful town and harbor, we spent some time looking at the picturesque houses and the quaint little town in serenity. We went on, back in our loop – drive, stop, click, drive, stop, click, drive. The most pleasant day of our trip when the sun came out! 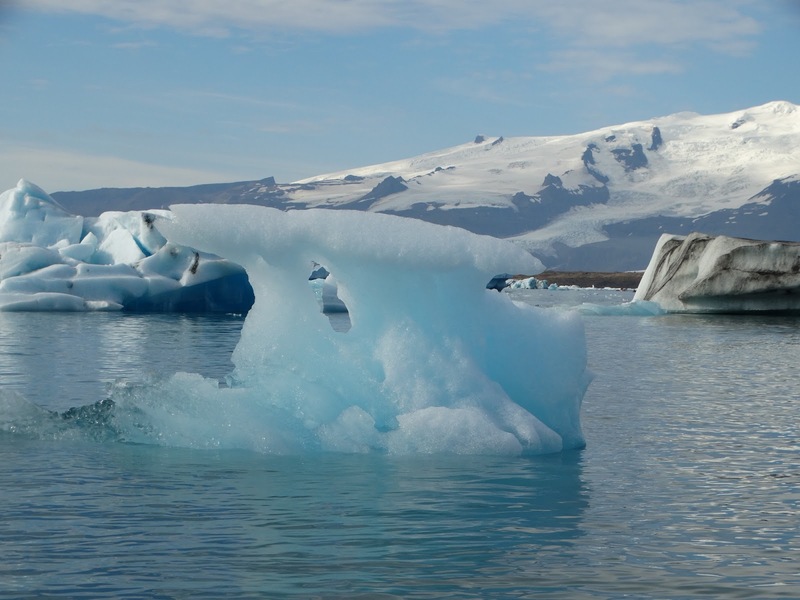 Jokulsarlon is a large glacier lake near the Vatnajokull (pronounced Vatnajokutt) glacier, which has lot of icebergs and the like. A tour through Jokulsarlon felt like a mini-version of the Titanic as we glided across and a sheath of ice. With the sun having come out, our tour guide was delighted more at the coming of the sun than the icebergs themselves. Appreciate what you have, else you’ll only respect the same when you don’t have it – sun! With a fantastic view, and lots of birds on the other side of the lake, next to the sea, with the glowing sun and lots of tourists, it really seemed to be a much more pleasant day than the previous ones near Myvatn! We spent a fair amount of time at Jokulsarlon, and eventually moved on from there towards Skaftafell, where we did a small trek of ~2-3 kms to reach Svartifoss waterfalls. 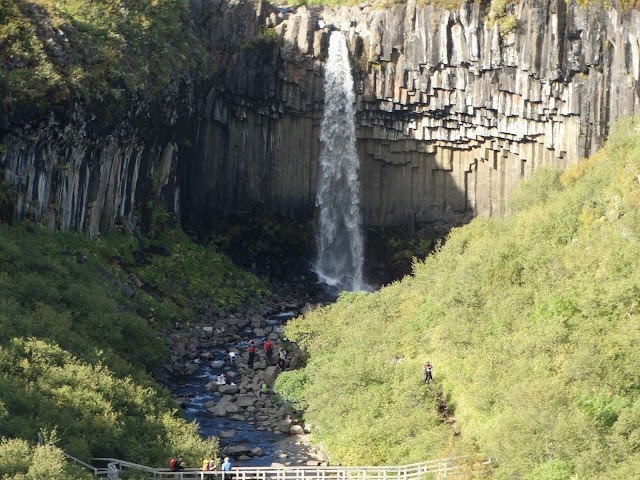 The waterfall in itself was sedate compared to some of the earlier giants, but was famous because of the basalt columns around it. 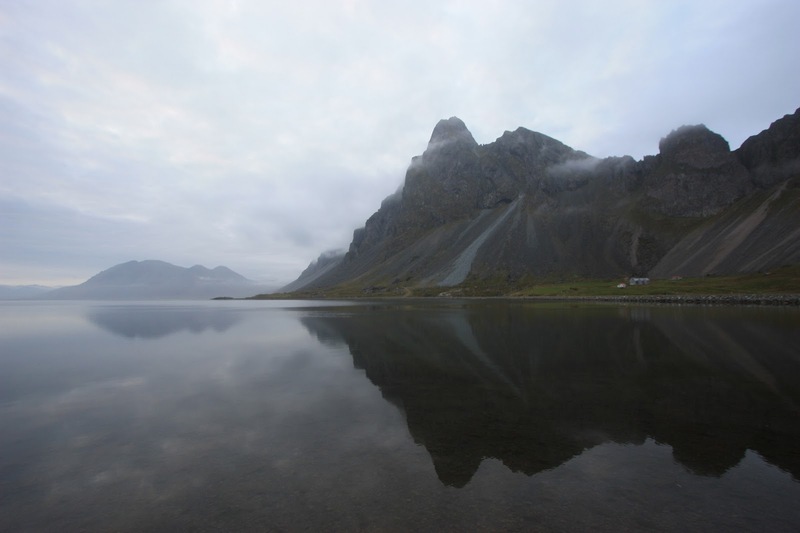 The last part of the day turned out to be my most impactful memory in the whole trip – Fjadrargljufur. This was a canyon of an amazing height, I was stunned by the quiet, imposing, gigantic canyons with a thin gorge flowing underneath. The impressions left by them were just well.. I am at a loss for adjectives now! Tall, imposing and disdainfully you stand, yet I shall find a way in your presence, amidst your frame, though I shall not but rise even up to your feet – says the stream flowing at the bottom of the canyon (source of which was a tall waterfall amidst the canyon). 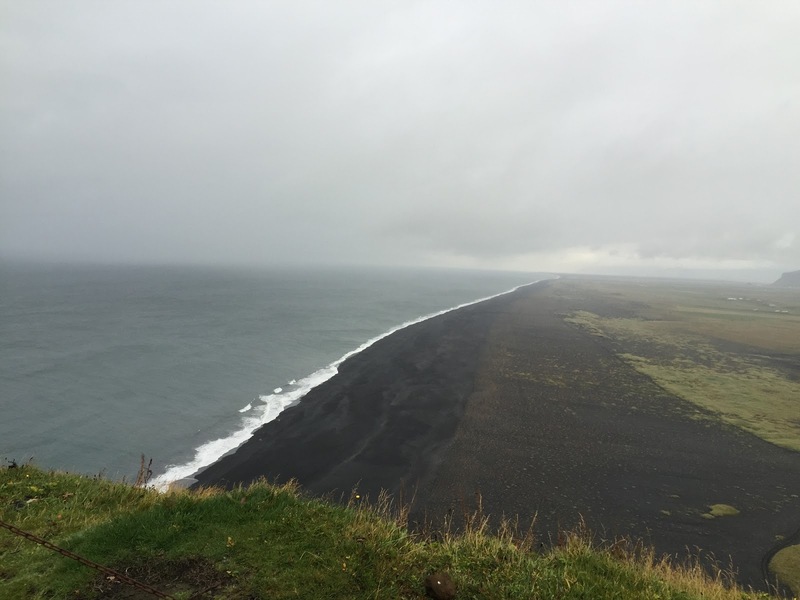 We started the day by visiting the famous black basalt beach at Vik. Heavily windy, the waves lashed at the black shore whilst we watched from atop a hill whence we saw some strange rocky shapes in the water. A beautiful, but chilly place! 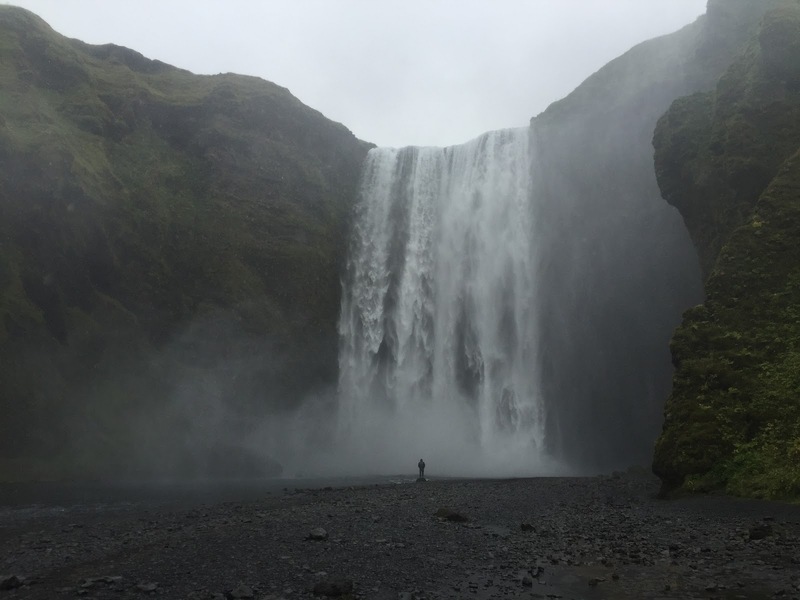 Moving on, we reached Skogafoss, an amazingly tall, plunge waterfall thudding on the ground from a height of around 100 meters. Yet it had a lot of greenery, we also some Arctic Terns who had made the greenery next to the waterfall as their nests. Side view from above. The small white spots to the right of the falls are two birds who've nested there. 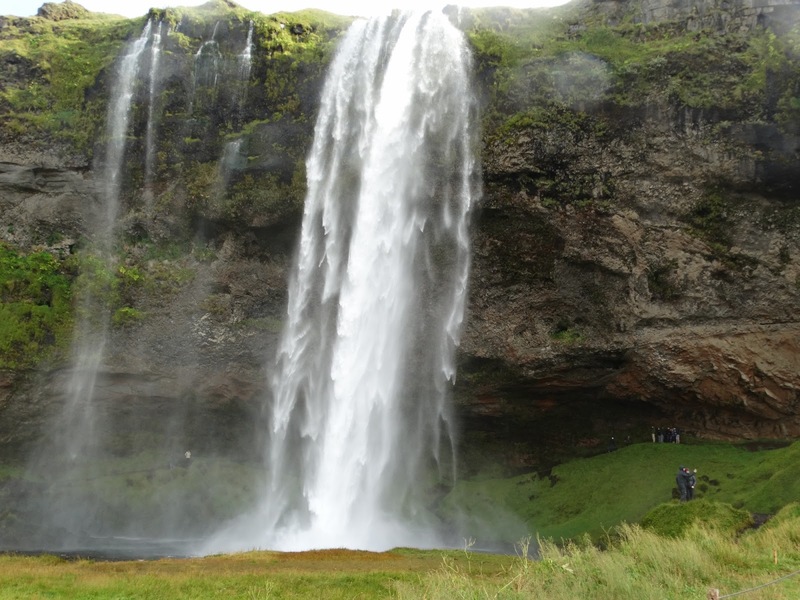 Next stop in the amazingly rich golden triangle of Iceland was another plunge waterfall – Seljalandsfoss. The specialty in this particular waterfall was it is possible to go behind the waterfall between the rocks and the water, albeit on a slippery wet path. A unique thin waterfall which surprisingly enough couldn't even make it to the ground. The gusty winds blew them off their course! It was apt that this part of the country also has a hot water spring. 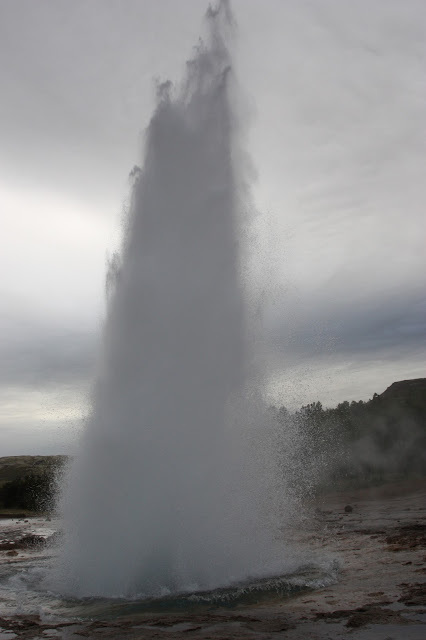 In fact, this was the location of The hot water spring – Geysir, the origin of the word also came from here. We saw another spring - Strokkur (because the original Geysir is no longer very active) close to the same which bursts into life every 3-5 minutes and whooshes out of the ground up to a height 20-30 feet before churning back into the fuming pool. Phook phook phook – went the geyser at regular intervals. 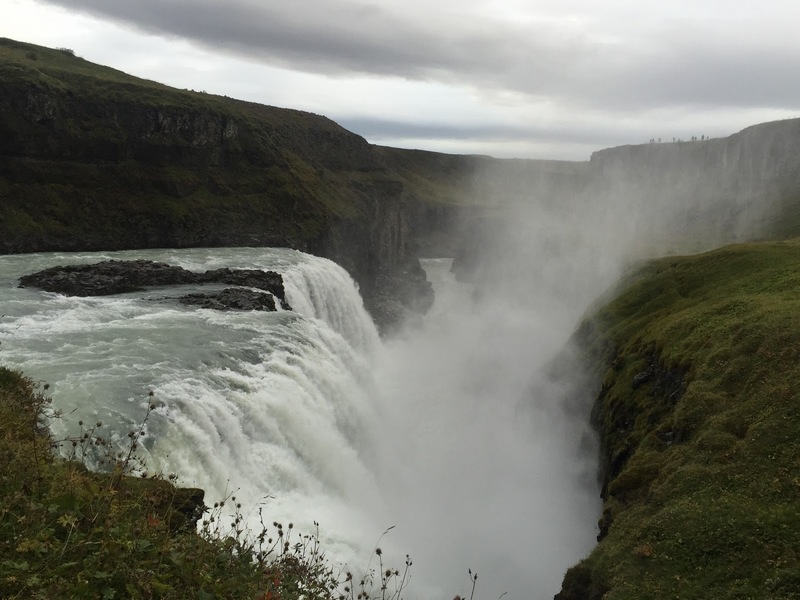 Our last stop on a very eventful day was at Gullfoss – the beautiful and gigantic two step waterfall. 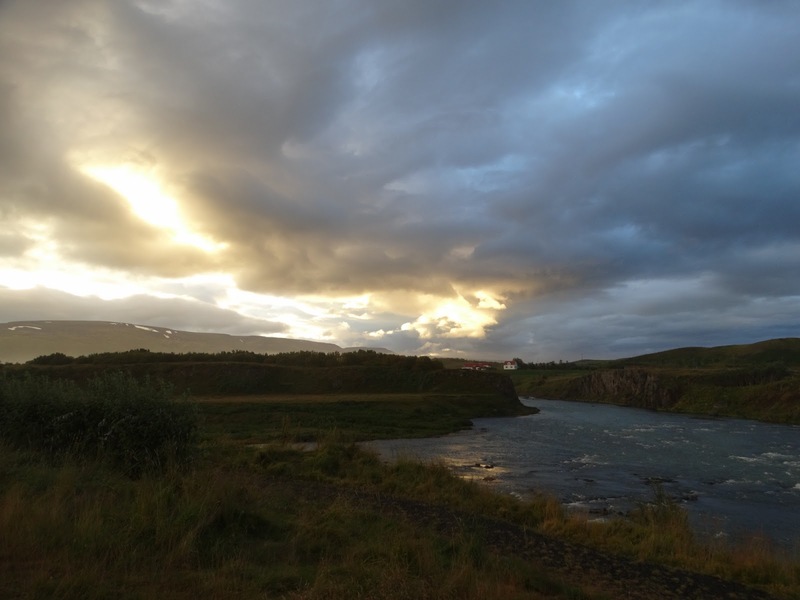 In the wee hours of twilight, we also passed through the famous tectonic plates in Thingvellir National Park – where Iceland indicates the continually widening continental drift between the two plates because of the mid-Atlantic ridge. However, we really couldn’t see much, apart from a few uneven patches in the land, and a gap in the land between two hills. We didn’t spend much time there! Eventually tired and exhausted, we completed our Ring road tour of Iceland and ended back at Reykjavik. We weren’t done though! We spent the morning – whale watching at Reykjavik (something we missed in Husavik). I don't have any comparisions but the experience except I expect a much higher chance of spotting whales at Husavik. Our tour was a pleasant revelation on a really chilly ship where we were suited up to protect from the tremendous cold on sea. Birds travelled with us all throughout the journey, as we went deep into the sea in search of whales. We didn’t see much – as in one minky whale, but did see few playful dolphins! The dolphins pranced around the ship a few times almost calling us invitingly and putting up a show. The ocean is my home, my playground, and you’re just a big toy. – says the mischievious dolphin to our ship around which they jumped in and out of the water multiple times. The second half of the day – we made a visit to the Blue Lagoon which felt rather expensive and artificial in contrast to the natural spring geysers near Askja. 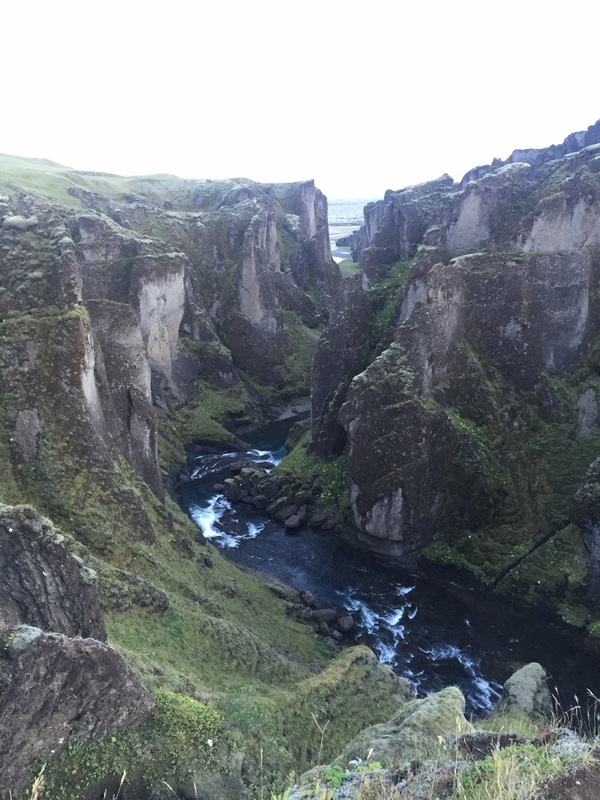 For what it is worth, this place is supposed to be a must-do on any visit to Iceland, and we appropriately ticked it. The same night, we took a flight back to India with amazing memories! The Northern Lights deserve a special mention as they were a part of our daily conversation. We checked the forecast daily, in hope, understanding terms like aurora intensity and cloud density forecast – low/mid/high clouds. Eventually with all this we got a clear sky only on our first night in Reykjavik, the experience has been described above. But I wish we had got clearer skies with a better chance of visibility at least on one of the days. Never mind, next time! 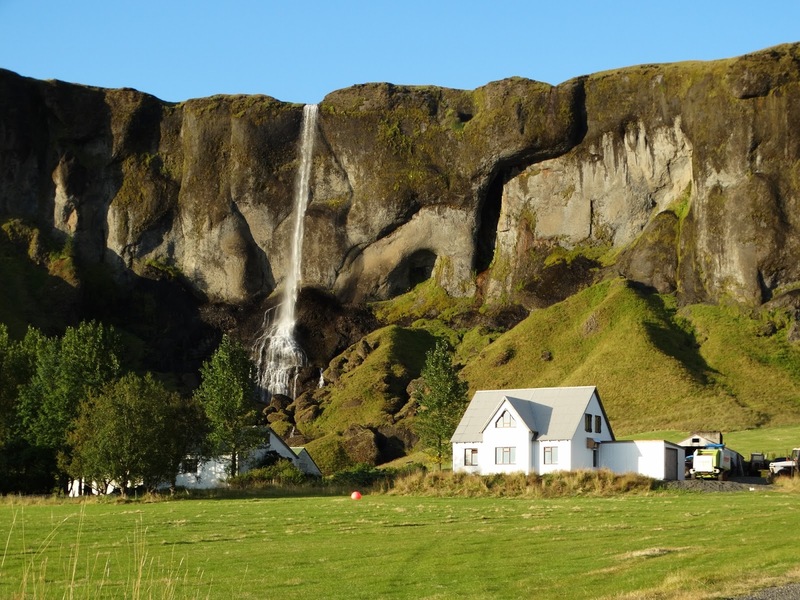 The recently release Indian hindi movie – Dilwale had a song Gerua which was shot in Iceland. Just when I saw some people wondering whether such places really existed; this post is a testament to the fact that indeed such beautiful places exist. 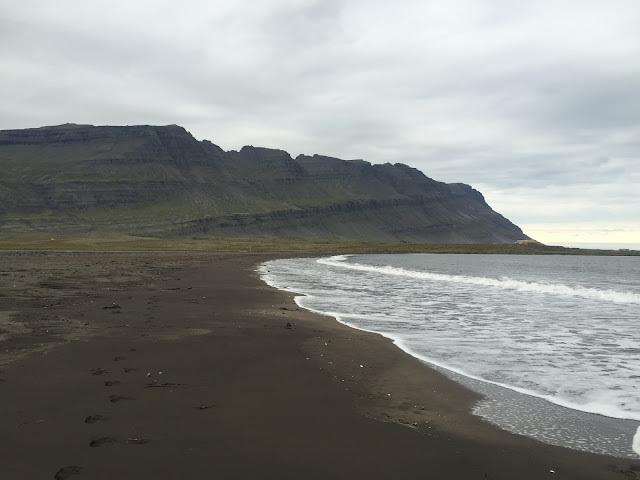 The start of the song has been shot at Vik beach with black sand, from which they move on the basalt columns, to the broken plane at Solheimasandur. 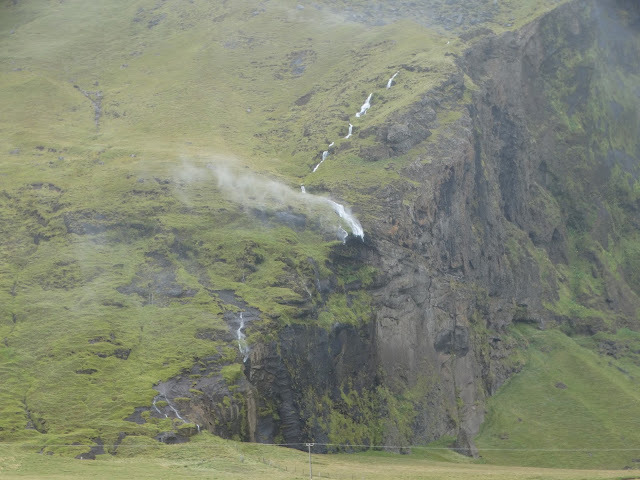 The waterfall with rainbow is Skogafoss, whilst the one where they are behind the falls is Seljalandsfoss! The ice landscape I believe must be at Jokulsarlon. The place where they stand on water on the backdrop of mountains, is no known place (to my knowledge) but probably just one of the many unnamed sceneries that Iceland provides. - Plenty of hotel options are available at various sites like booking.com. Book early, as it tends to get all full in the tourist season. - Book your flights sufficiently early too as they get pretty expensive. - It is going to be cool even in summers (or what they call summers). September, when we went is end of summers for Iceland. 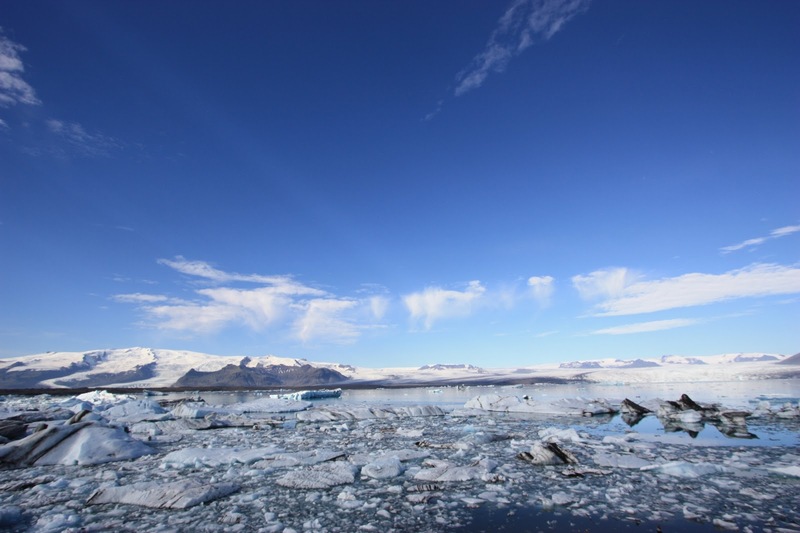 - Iceland has a population of 330000, whilst it gets around 10,00,000 tourists every year. Just an interesting fact to know. - Have adequate buffer travel time, since all the days are going to be long. We arrived at our day-end destination almost at 7-8pm every day (though there is light till 9pm in summers). Eventually you aren’t going to be able to cover everything. - Food options for vegetarians are limited but not non-existent. But supermarkets are available to buy groceries/bread etc. Suggestion: try Skyr (Icelandic yoghurt). - We mostly had a pitstop lunch on all days, and a more leisurely breakfast and dinner. That is mostly how it will be if you want to cover so many destinations. 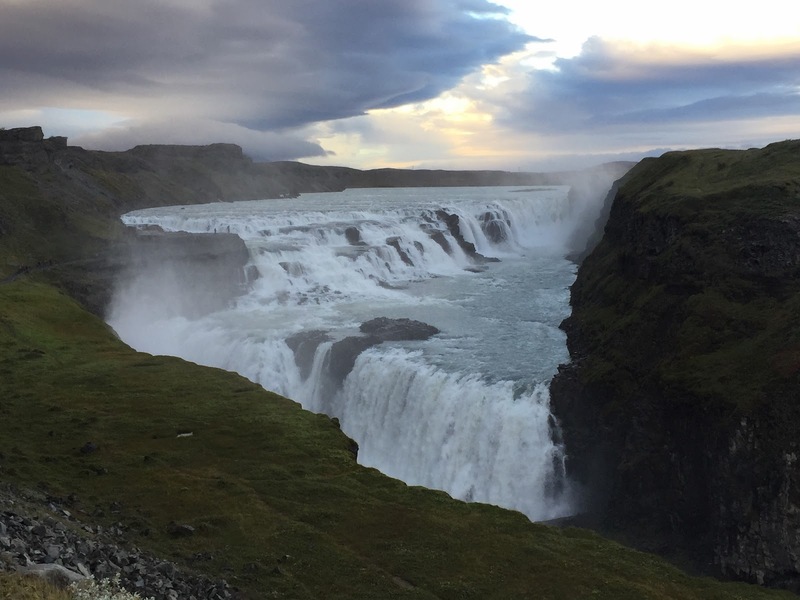 - Icelandic vocabulary -> foss means waterfall, fell means mountain, sarlon means glacial lagoon, fjordur means a fjord, jokull means a glacier. - Safety is not an issue, as crime rate is very low. There aren't enough people around to worry about crime :). - Travel cost – will vary depending on number of people. With five of us, it came to around 150K INR per person. Major costs will be for flight tickets (~60K per person), the self-drive vehicle cost us ~100K in all; the Askja superjeep tour was around 70K, basically any kind of activity in Iceland is expensive, but probably you’ll end splurging on one or two such activities. Hotels will mostly be around 3-5K per room or thereabouts depending on time of season etc. Why do we travel? Reasons vary from the dignified ones like ‘to feel close to nature’, ‘to experience different cultures’ to more practical ones like – ‘To satisfy our lust for seeing new things’, or a feel-good about oneself, or the desire to post Facebook pics and boast about them. Each one has their own reason. 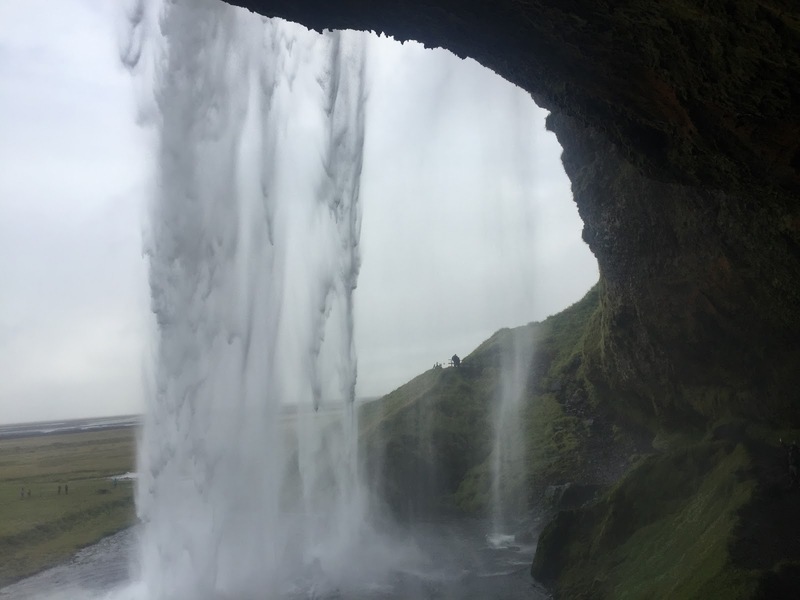 It is safe to say that Iceland will not disappoint or fail any of those reasons! Photo credits for all the above pics: everyone on the trip.